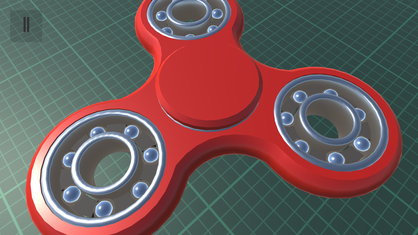 Free 3D fidget spinner simulation out now on iOS and Android! The most realistic virtual fidget spinner app you can get! 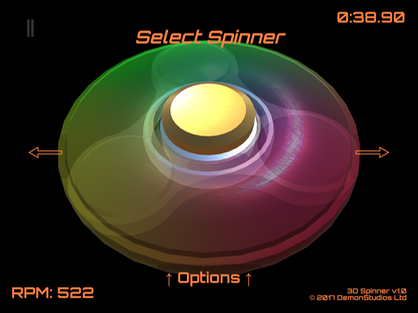 Featuring realistic physics, 3D graphics and sound, with 14 different spinners to choose from! 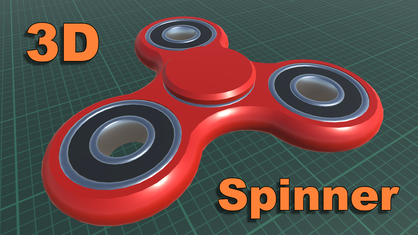 3D Spinner - the most realistic virtual fidget spinner app you can get! 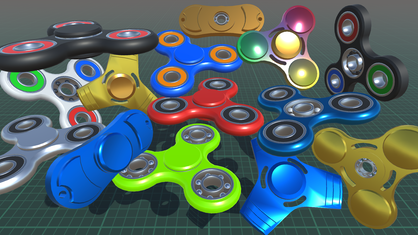 Featuring realistic physics, 3D graphics and sound, 3D Spinner lets you play with a variety of fidget spinners as if you're really holding them. 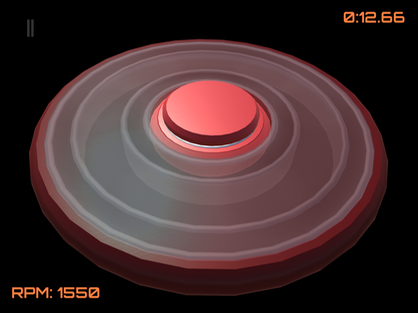 Just touch the screen and see your finger interact with the spinner as if it's really there. 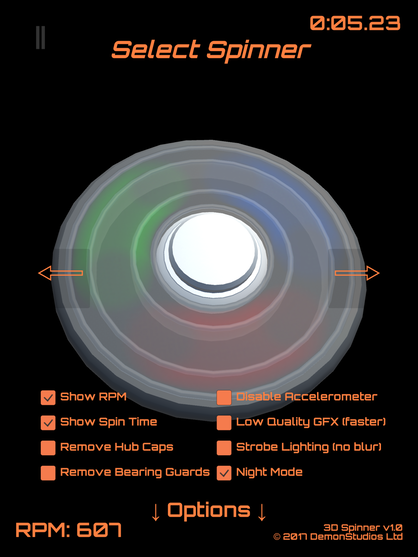 Move the device around to view and spin the spinner from any angle using the gyro. 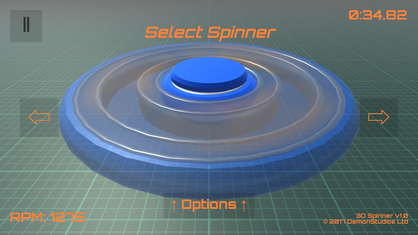 Or hold the center of the spinner with one hand and spin with the other, rotating the device to feel simulated gyroscopic effects with actual vibration just like the real thing! 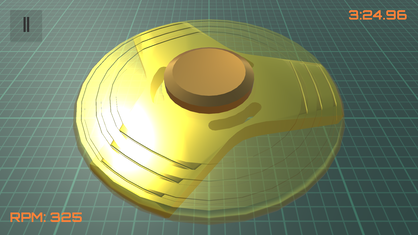 - Extra spinners include 2-sided spinners, different metals like anodised aluminium, luminescent plastic, brass and even solid gold spinners! Fidget spinners are claimed to help with relieving stress and anxiety, and even ADHD. 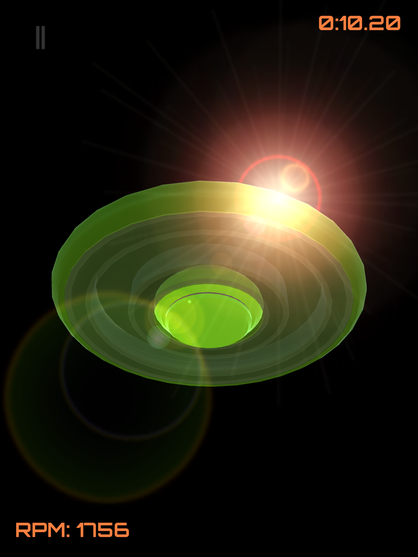 3D Spinner tries to be as close to simulating a real fidget spinner as possible, so if the claims are true, then this app might help relieve those conditions too. 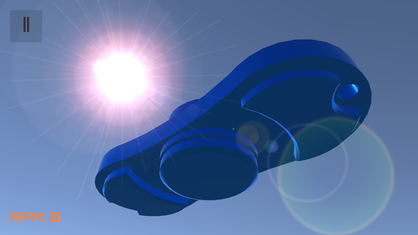 3D Spinner - a great fidget toy and stress-reliever, not just for kids but adults too!